50 notable social network, bookmarking, video and photo sharing websites for 2016 in a fun online IT learning game. 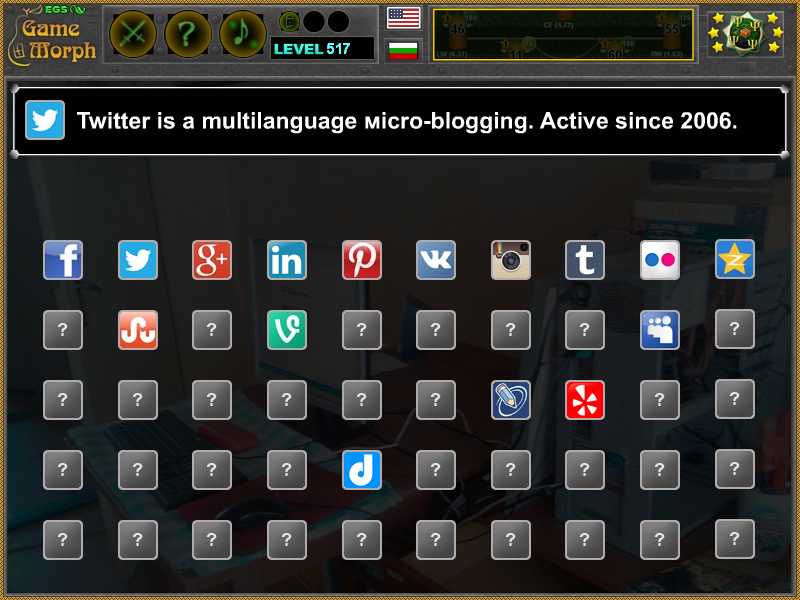 "Social Networks Mosaic" is a free online knowledge level game about the List of social networking websites. Open all grey squares to reveal 50 of the most popular social networks for 2016. A small mosaic game for desktop computers, laptops and tablets, which may be played in the web browser. The IT Knowledge Board include 50 pictures famous social medias to play with. Part of the Interactive Computer Tools educational games. Which are the most famous social networks in 2016? Where can I post my thoughts? Where can I comment news? When can I post my pictures and photos? Where can I post my sites? Where can I make a blog? Where can I post videos? Where can I stream videos? Where can I connect with other professionals? Where can I connect with other artists? Where can I self promote? Is Facebook one of the greatest social networks? Is Twitter one of the greatest micro-blogging networks? Is Pinterest one of the greatest photo sharing networks? Is StumbleUpon one of the greatest bookmarking networks? Is LinkedIn one of the greatest professionals networks? Does Google have a social network? Which is the greatest video posting website? Where can I bookmark my favorite content? Is FriendFeed still active in 2016? 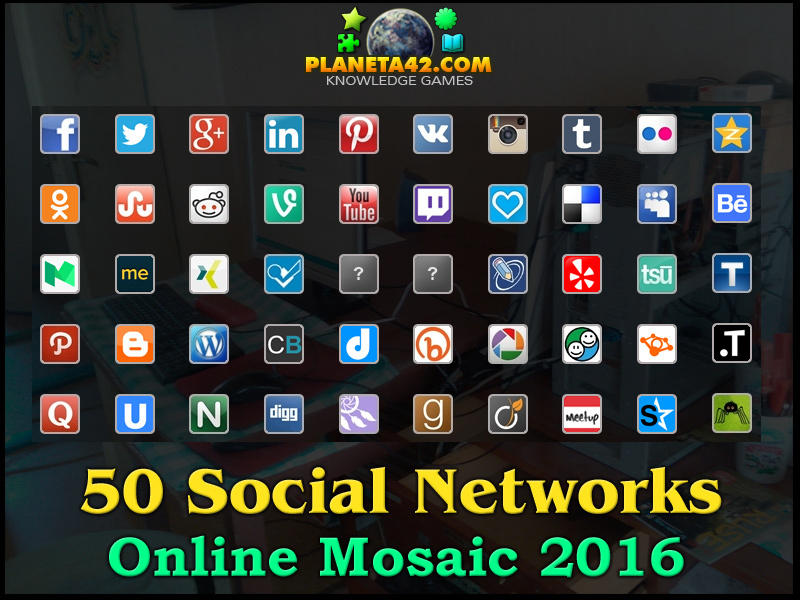 How to play 50 Social Networks Mosaic 2016. Just click over the question mark squares, while all social network pictures are revealed. When a square is revealed, the button with a link to the website will become active. By taking time for every network, the chance to memorize is greater. Know some of the most famous social network sites for 2016 year. A social network is a website where people gather and share opinion and style, form groups by interests or just express themselves. After 2000 there is a boom of social network websites, where every site try to focus on one or more social activity. Some websites live longer than others and today the list is probably changed. In the class game we review some of the most notable social network sites for 2016 with their specific focus. All png icons for the social networks here. Labels: Games with Computer , Mosaic Games , Flash Games , IT Games , Education Games , IT Class Games.